PEARL CITY, OAHU (HawaiiNewsNow) - A deadly weekend on Hawaii roads claimed the lives of two people on two separate islands. 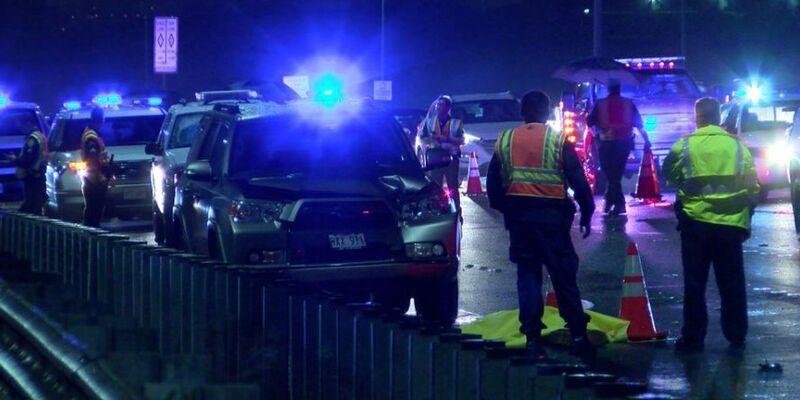 Honolulu police confirmed Saturday one of the accidents involved an on-duty police officer. On Oahu, a crash killed a 57-year-old man who ran onto the H-1 Freeway near the H-2 North off ramp. According to police, the man was struck by a 46-year-old police officer who was on-duty at the time of the accident. The officer was driving his HPD SUV in the far right lane when he collided with the man. "At this time, it appears to be an accident. The pedestrian ran into the freeway and he didn't have a chance to really react. It was so quick," HPD Chief Susan Ballard said Sunday. Chief Ballard added, "(The) officer involved is a 46-year-old HPD Sergeant with 23 years of service and assigned to the Pearl City station. ... The officer's vehicle has been taken and will be examined as part of the traffic investigation." The accident happened around 6:15 p.m. Saturday. Two lanes of the freeway were closed for nearly three hours as officials investigated. Police say drugs and alcohol were not potential factors for the officer, but they say it is possible drugs may have been a factor for the pedestrian. HPD is hoping witnesses will come forward. Anyone who saw the accident is asked to contact police. As is standard procedure, the officer has been placed on temporary paid leave. "We are treating this exactly how we'd treat anyone else that's involved in an accident," Ballard said. Then, earlier in the day, an accident happened around 4 p.m. on the Big Island's Highway 19 near the 34 mile marker. Big Island police say a woman in her late 30s was killed after a collision involving a blue pickup truck and a white sedan. One lane of the highway near Paauila was blocked as police investigated. Witnesses told authorities that the sedan appeared to hydroplane on the wet roadway before spinning out and striking the truck heading in the opposite direction. "It has been raining on and off in varying degrees throughout the day, so everything is pretty saturated and it doesn't take much to create additional runoff," Battalion Chief Matthias Kusch said. The woman was reportedly ejected from the vehicle and died at the scene. Fire officials say the two males in the truck had minor injuries. Identities of victims in both accidents have not yet been officially released.